My now 5 year-old, Jett, is my inspiration for Kidzies®. One day on an outside adventure in early 2010, I found myself putting an insulator around my beverage, but nothing on his. "What sense does that make?" I wondered, and put one on his cup. It became a daily ritual. The one morning I forgot it, a tiny voice cried out, "Mama, I need my kidzies." I began ironing designs onto foam "huggerz" (which was not pretty), but the ones which promoted factories and bars were soon replaced by trains and cars. After mixing a little bit of luck and a lot of prayer, Kidzies® was born and I am ecstatic to share a high-quality, professional, long-lasting product with you and your family. His hands are warm, his drink is cool, there are fewer rings on my furniture, fewer spills & sweating cups on his good clothes, and I'm less concerned about his apple juice not going into the fridge between sips. Jett loves the Kidzies® designs (he rigorously approves each final drawing) and I love everything else about it - the well-being and the cleanliness. Kidzies® are a must have for the stylish kid & savvy mom. Our journey has not ended with only one product! We decided that Kidzies® has so much more to offer! We've expanded our line of original artwork onto many different product categories and have plans for many more in the future. As I encourage Jett to dream big, I do my best to lead by example. Our goal isn't to make millions but to make everyday life for you a little happier and a little easier. We love what we do and we hope that it shows! Kidzies® mission is simple: to promote well-being & service to our customers at the lowest prices possible. We take great pride in our company, our commitment to customer service and in the products we sell. Our online store is designed to provide you with a safe and secure environment to browse our product catalog. 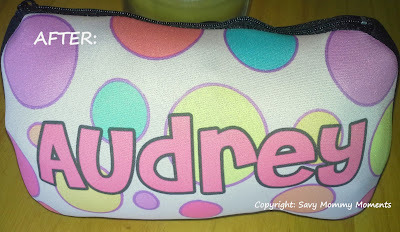 I chose to review two of the Kidzies personalized items. The first one was a Huggerz for Big N's drinks. Everyday, he brings a drink to school with him and I was tired of labeling it, so I decided that this might be a great solution. 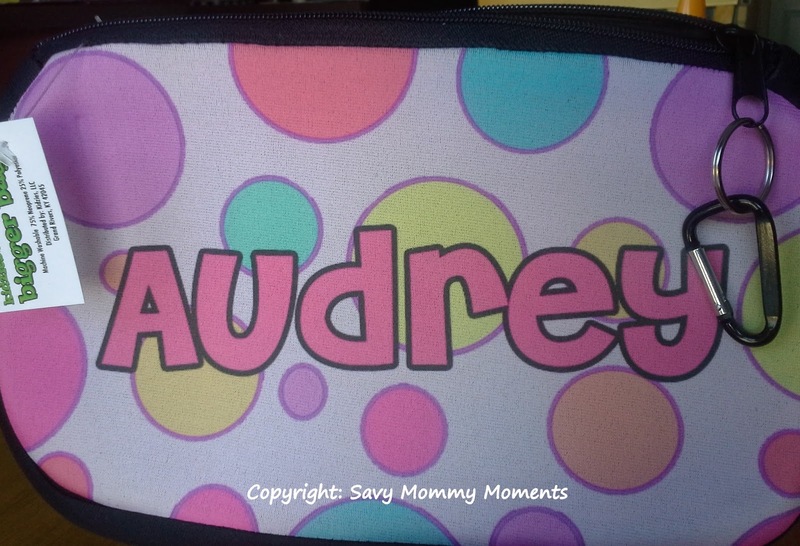 I chose the Blue Polka Dot design personalized with his name. When it arrived, we immediately put it onto one of his sippy cups and it fit like a glove. Like most families, we have a ton of sippy cups. 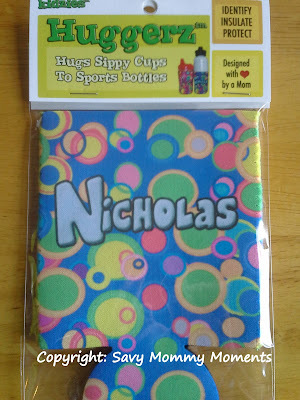 They come in a variety of widths, curves, etc., so I was delighted to find that it stretches to fit on all of his cups! 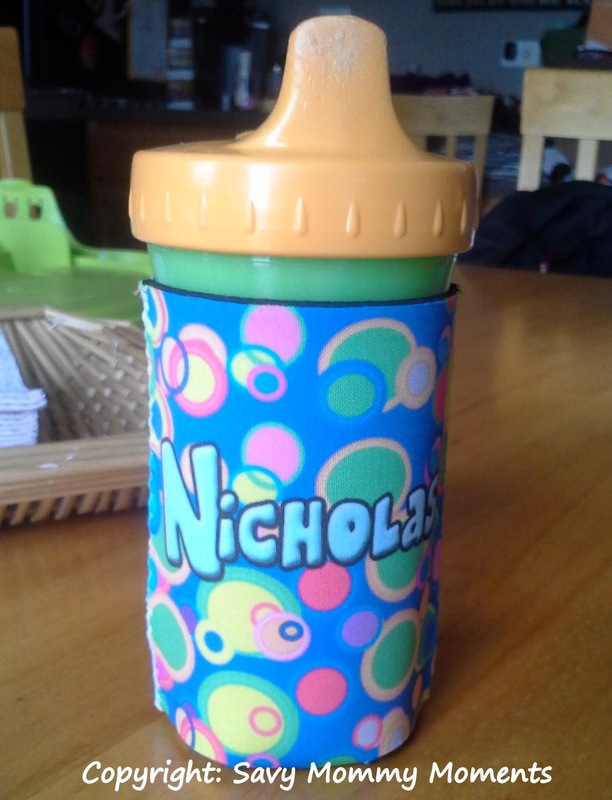 Not only is it great for making sure he knows which cup is his at school, but it also keeps his drinks extra cool. We have been using this item daily for months and I can say it still looks new! It is has kept it shape and colorful design perfectly. I am really impressed! The second item I chose was a Polka Dot Bigger Bagz for Little A. I chose this because we are always running out of the house to run short errands and I wanted something that I could pack enough stuff in case she needed a change/snack while we were out, without having to lug around a diaper bag. When I received the bag, I really liked the design and materials it is made of. The bag it's self is stretchy just like the Huggerz and you can tell the zipper is well made and sturdy. Also, they had recently upgraded to metal clips on their bags for hanging. The first weekend we had this bag, we decided to give it a try. Below are the before and after shots! Yes, we stuffed it full and it handled it great! Plus, while we were out I was able to use the clip to hang the bag from the shopping cart. What a wonderful bonus feature! Overall, I can say that these products have proven to be durable, affordable and very functional! I highly recommend these for your little ones! Their products would make wonderful gifts for those little ones in your life. 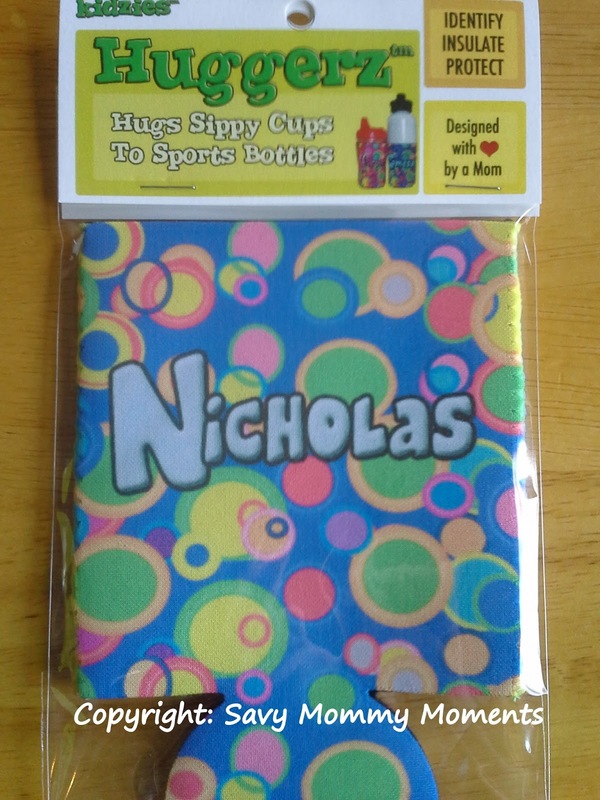 The Huggerz are definitely going to be on my list of possibilities for my kids' birthday favors this year! 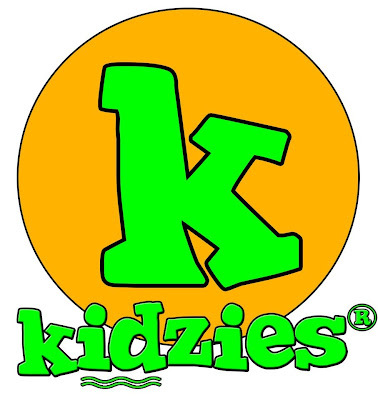 Learn More: You can learn more about Kidzies and their entire product line on their website. Also, be sure to follow them on both Facebook , Twitter, Instagram and Pinterest! Buy: Kidzies provides a very user-friendly online purchasing experience on their website. Their customer service is phenomenal and they offer free shipping for orders of $50+. Win: Enter below to win a $10 gift card to their website. This prize also includes free shipping of your order! Open to U.S. Residents Only. 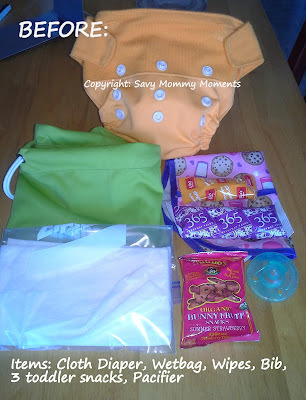 Giveaway ends 9/14/2013 at 11:59pm CST. I like the Bigger bags! Thanks! I put my name down as triciaz. I like the Treasure Bagz.